WTF... I think they left the decimal point out, should be 3.75. That novelty axe looks like a great way to really hurt yourself. The thing looks cast, which, if so, is even worse ( if that is possible !!!! ). I wonder what his neighbors think,seeing him poking away at a tree with that thing.Ummm,you wanna borrow my axe? Harkens back to the old rigger's knife (marlin spike), minus the axe head. Man! 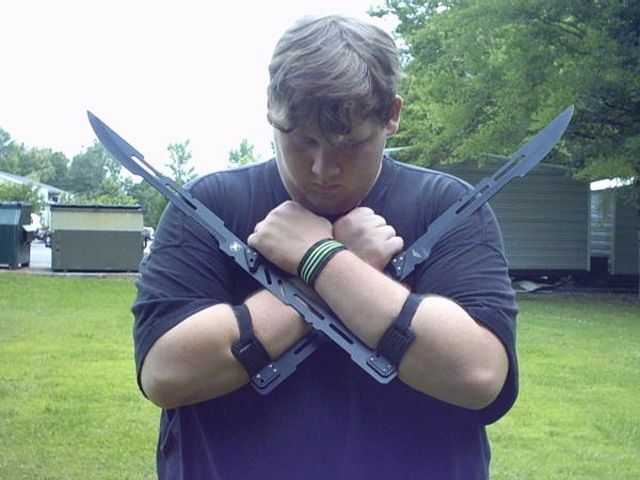 That thing makes me want to put on a Ninja costume, and move to my parents basement...And, they don't even have a basement. Yes but "Law Enforcement, Military, and Veterans are eligible for a special discount". Yes but "Law Enforcement, Military, and Veterans are eligible for a special discount"
Maybe I could baton that thing to make big sticks into little sticks. And it could serve double duty as a tent peg, maybe. While I purchased three or four of the full size fighting tomahawks found at a good deal last year due to picture of sharp point side defeating kevlar, including helmets, with a burly swing these mini pocket version look like they might generate enough inertia to open a can of soup with a few strikes. 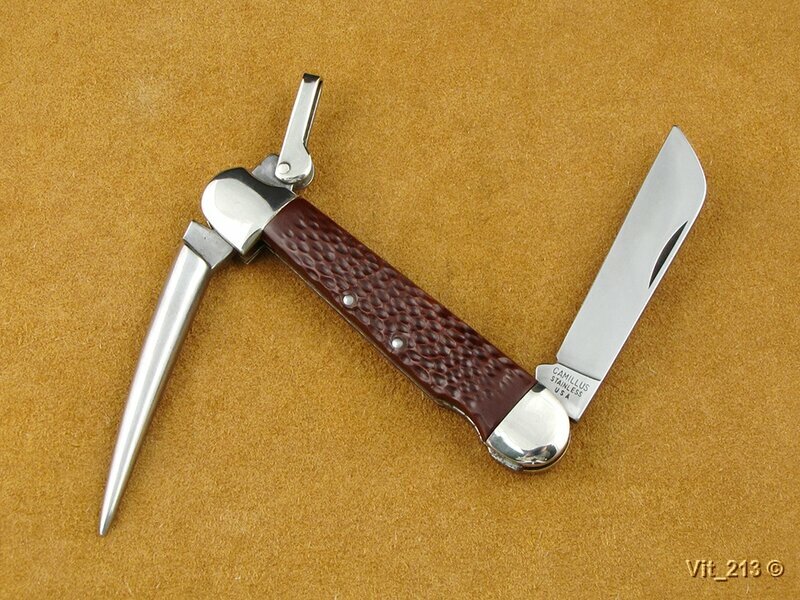 You guys missed the mini tomahawk at $188 with $144 introductory price. a lifelong martial artist, weapon collector, and owner ofBlackHeart Knife & Tool, has picked up where Pandai Jenal left off by designing his own modern rendition of the Kapak Kecil, the Stiletto Mini Axe. After years of attempting to acquire one of these rare and elusive mini fighting axes, Robinson finally decided to make his own, and did what Americans do. He made it better! 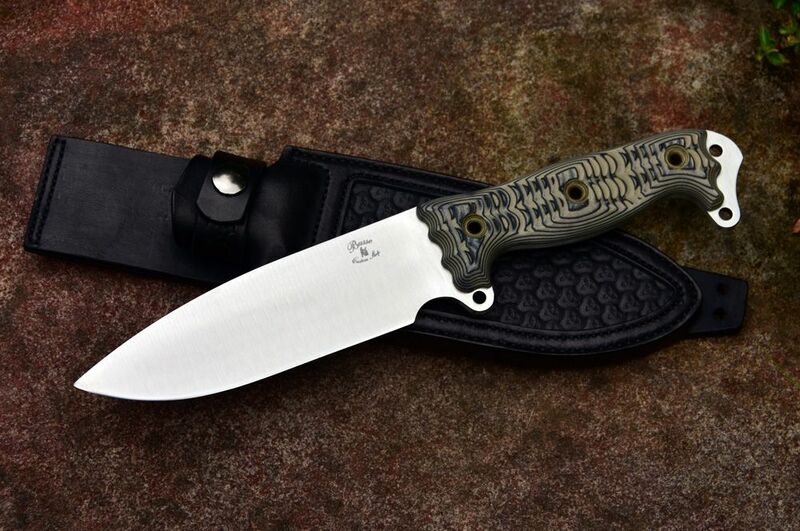 What has happened to the desire for a good basic knife like a Randal Model 15 Airman? Had each of the varients of the Airman but gave them all away, bought more and gave those away. Any family member that deploys to active combat zone along with friends kids give them a Randall at their send off party. Figured them all sitting in my vault made them another estate piece when I pass. Giving them to kids deploying ensures they have a good knife and someday will be the knife grandad carried to war. Design really hasn't changed sine the Vietnam War. I'll stick,,,,, with my Gerber Mk1, simply old school all the way!